A survey sent to some current and past subscribers asked about how likely players were to purchase the upcoming expansion, Warlords of Draenor, at a few different price points. Some current and former World of Warcraft players have received a survey asking them about their interest in and willingness to pay for some new products. Polygon reports that the survey asked players if they would be interested in joining a year-long subscription program. The World of Warcraft Annual Pass is not currently available, but was a limited promotion that included a free copy of Diablo 3, access to beta testing for the Mists of Pandaria expansion, as well as an exclusive in-game mount. Blizzard may be considering reviving the Annual Pass in some form. The survey also asked players to rate their likelihood to purchase the upcoming expansion Warlords of Draenor if it were priced at $39 or $49. Whether the expansion included a free upgrade for one character to level 90 was also included for consideration, with one question asking players, "In your opinion, what would be the fair dollar value for just the character upgrade to level 90 (of any new or existing character)?" 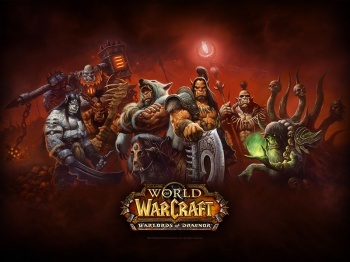 The upcoming expansion Warlords of Draenor was announced at BlizzCon on November 8. The expansion will increase the level cap to 100 and will include a feature that allows a character to boost to level 90. The expansion will also improve detail on character models, and will allow travel to the new setting of Draenor. Despite flattening the leveling curve, the ever increasing level cap can make World of Warcraft difficult to start as a new player, especially if you are joining friends many levels ahead of you. With Blizzard expecting to launch more expansions more quickly, giving players the option to skip the grind and get directly to the latest content might help retain or gain some subscribers.